It’s the boyfriend’s birthday today (we were born the same year, weeks apart), and so the other day I was out searching the neighborhood for a suitable gift when I noticed that the designer Caron Callahan had opened a store on Elizabeth Street. The day’s shopping expedition was not supposed to be about me, but I’m a big fan of what I’d call Callahan’s Euro-utilitarian aesthetic, so I ventured in, and of course bought something: her Krasner jacket, in a really nice cream, and I feel confident I shall wear the hell out of it once things warm up around here a bit more. Here’s something similar but cheaper. 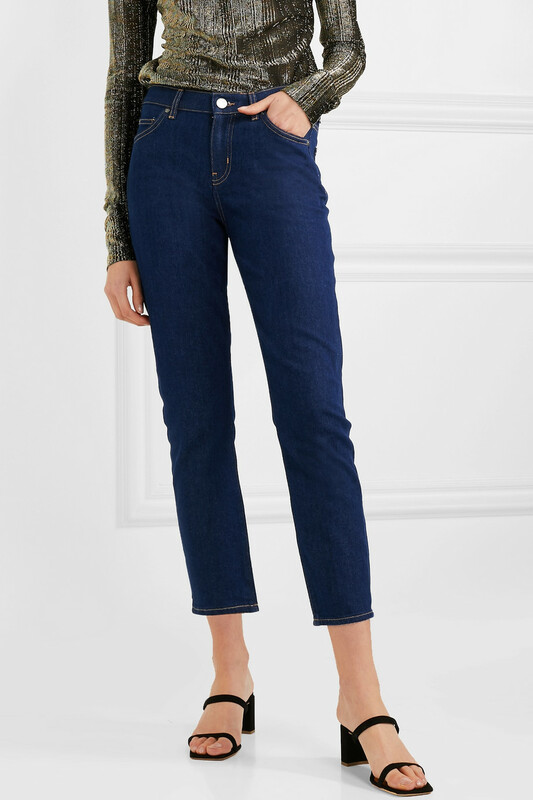 I also recently acquired these jeans, which have what I’d term a skinny boyfriend fit, and a high-but-not-too-high waist. I’m really trying to up my earring game these days, and I like how these hoops are kind of matchy but also kind of not. 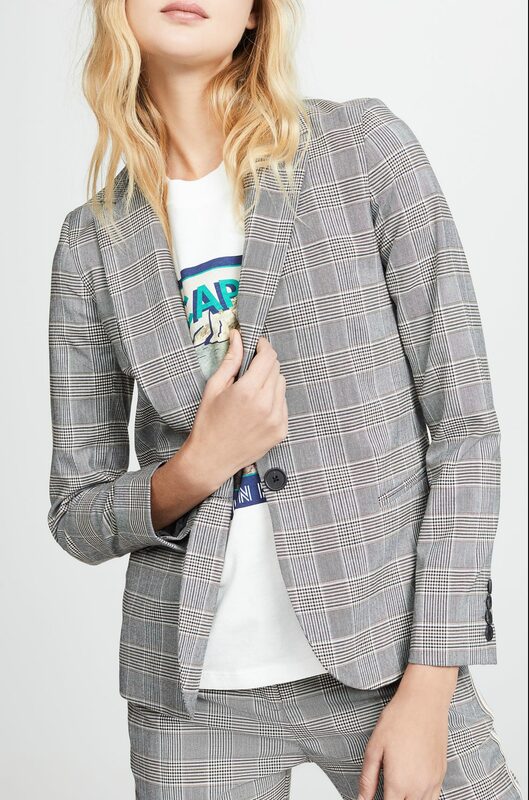 I’d wear this well-cut blazer just as it is shown here: with a cool graphic tee (maybe this old-school one, in fact). 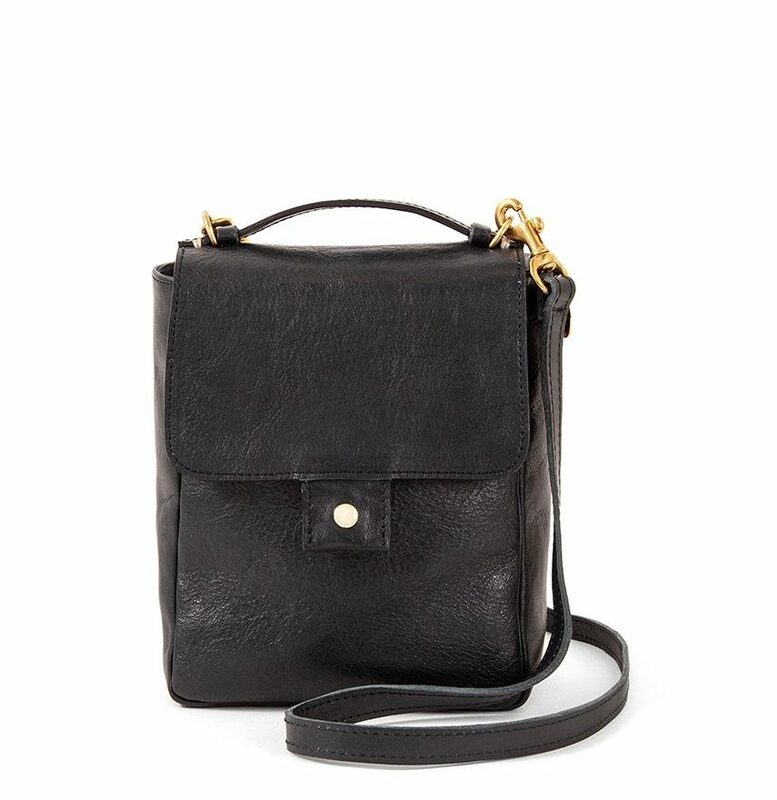 I don’t typically like mini-bags, but I love the shape of this one from Clare V. It doesn’t especially look like a Coach bag from the Bonnie Cashin glory days, but for some reason that’s what it’s reminding me of. I’ve really come around to understanding the appeal of silk blouses recently—they drape so nicely and layer well too. And this polka-dotted number is so very lovely and sophisticated, if pricier than I wish it was. 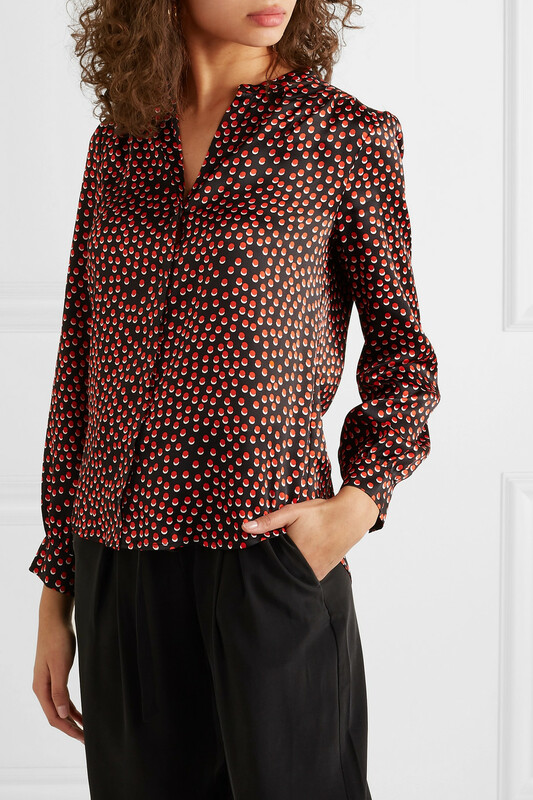 And here’s another pretty silk top—also polka dotted, so I guess that’s a thing with me now. 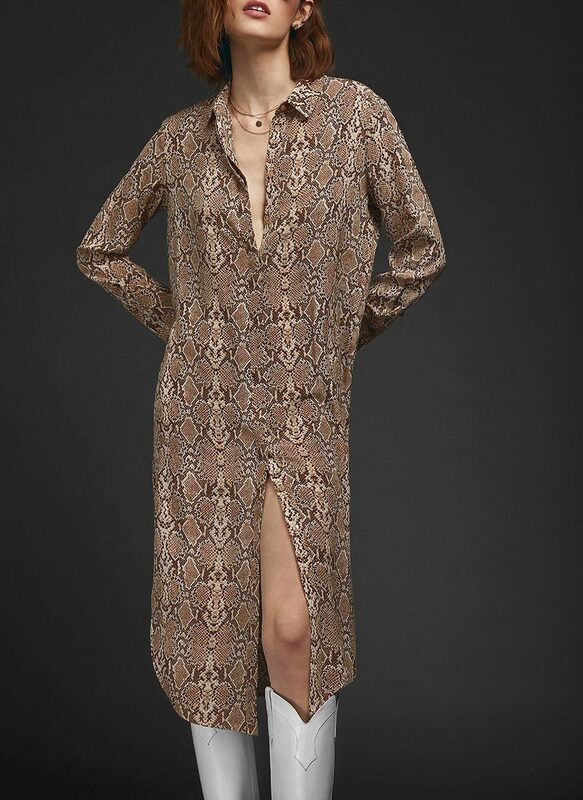 I dislike how this snake-print shirtdress is styled here, but I do think it looks quite easy to wear and also potentially rather glam. And finally: this cotton tuxedo shirt reminds me of Nili Lotan, but it is from Uniqlo and rings in, remarkably, under $30. How does one care for silk blouses? Are they dry clean only? Besides that’s so terrible for the environment…I just can’t add an errand to my day. How do y’all swing it? Fill me in. 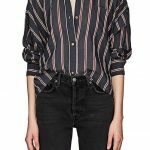 How does one care for silk blouses? Are they dry clean only? Besides that's so terrible for the environment...I just can't add an errand to my day. How do y'all swing it? Fill me in. Hand wash with Eucalan (no rinse needed), then steam. Easy! Thank you AK. Is that the only fine fabrics delicate wash you’d use? Or is there a similar one you also like? Thank you AK. Is that the only fine fabrics delicate wash you'd use? Or is there a similar one you also like? You’re killing me! I’d love a pair of slim-fitting boyfriends as I’m getting tired of the painted on skinny, particularly during our muggy summers. And a true boyfriend and I have yet to make friends. Love the silk blouses and the blazer too! I’m afraid I don’t know who Lee Krasner but I will investigate shortly. The python dress will look excellent with some pants on under. Somehow I can’t see tights. Otherwise I’m thinking one would just worry the whole time. And I love the blazer. Is that called a windowpane check? The python dress will look excellent with some pants on under. Somehow I can't see tights. Otherwise I'm thinking one would just worry the whole time. And I love the blazer. Is that called a windowpane check? These postings always leave me in agony (in a good way) as I want want want but can’t can’t can’t due to current tight budget. I am lusting after the just the right waist height & wash jeans, the hoops, the polka dot silk blouse & the tuxedo shirt (which is within budget but just can’t pull the trigger this month). These postings always leave me in agony (in a good way) as I want want want but can't can't can't due to current tight budget. I am lusting after the just the right waist height & wash jeans, the hoops, the polka dot silk blouse & the tuxedo shirt (which is within budget but just can't pull the trigger this month). I was on Elizabeth Street the other day, too (a rarity since I am have to be way less “things I bought” since buying a house) and actually thought, “Gee, I hope I don’t fangirl if I see Kim France.” And….I ended up buying tons of non-boring “work appropriate if need be” stuff at Lingo on Mott Street. I stopped in on my way to Judi Rosen (need short person jeans so badly!) and it’s such a small and “blah” looking place, I thought I’d be in and out in a second. This was confirmed by a quick pass through a sale rack, but then the owner – Shin – asked if I wanted help, and….well, two hours and two very full bags later, I left, skipping Judi Rosen…. I assume the Krasner jacket is named after Lee Krasner? If so, how wonderful. 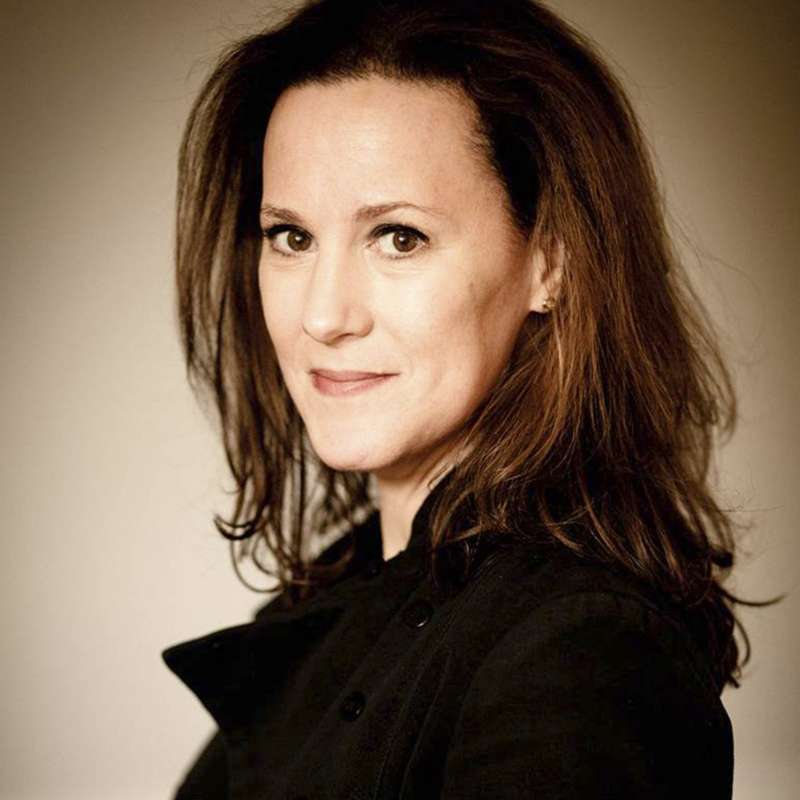 And if you don’t know who she is, please read Ninth Street Women! I assume the Krasner jacket is named after Lee Krasner? If so, how wonderful. 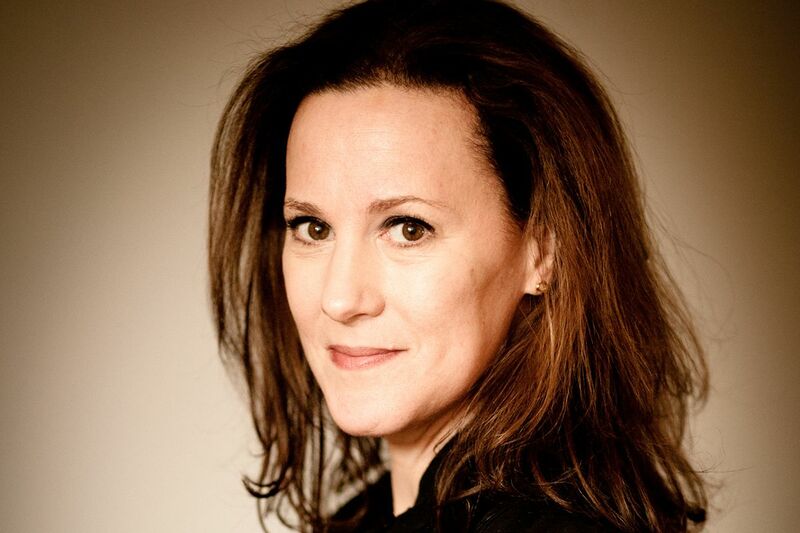 And if you don't know who she is, please read Ninth Street Women! Yes, I assume the jacket is named after Lee Krasner, of whom I am of course aware. Thank you for sharing Caron Callahan! Her collection is amazing — what a combination of beautiful everyday clothes and exquisite special occasion clothes. Did you try much on? 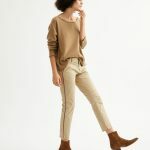 Can you give a sense of sizing / fit? I am very tempted by the jumpsuits and the Howell pants…and everything else. Thank you for sharing Caron Callahan! Her collection is amazing -- what a combination of beautiful everyday clothes and exquisite special occasion clothes. Did you try much on? Can you give a sense of sizing / fit? I am very tempted by the jumpsuits and the Howell pants...and everything else. I had the same reaction. I perused the site and thought, “If I ever get married again, I want to wear a Caron Callahan dress,” specifically the pink gingham one. For now, I’m going to buy one of those fantastic belts. I had the same reaction. I perused the site and thought, "If I ever get married again, I want to wear a Caron Callahan dress," specifically the pink gingham one. For now, I'm going to buy one of those fantastic belts. Love the clothes at Caron Callahan. Everything looks so comfortable! And the wash for the MIH jeans is perfect. For the life of me I can not wear a shirttail hem dress. I don’t know why they look so horrible on me, but this has always been they case and they are everywhere this season. Oy and Egad. And just a shout out to my beau’s mother who is 94 years old today. She still drives, participates in a cooking club, runs a grief therapy group, tells a great story, loves a good cashmere sweater and is amazing all the way around. Fingers crossed we can all reach our late dotage with as much spark and vigor! Love the clothes at Caron Callahan. Everything looks so comfortable! And the wash for the MIH jeans is perfect. For the life of me I can not wear a shirttail hem dress. I don't know why they look so horrible on me, but this has always been they case and they are everywhere this season. Oy and Egad. And just a shout out to my beau's mother who is 94 years old today. She still drives, participates in a cooking club, runs a grief therapy group, tells a great story, loves a good cashmere sweater and is amazing all the way around. Fingers crossed we can all reach our late dotage with as much spark and vigor! Happy Birthday to “Mom” – many happy returns of the day!!! Happy Birthday to "Mom" - many happy returns of the day!!! Happy Birthday to N’s mom! She sounds like an amazing woman. You can actually buy a long strap for that Clare V tote on their site. I’ve been considering one for spring. Either that or one of their crossbody bags with the stripes down the middle. You can actually buy a long strap for that Clare V tote on their site. I've been considering one for spring. Either that or one of their crossbody bags with the stripes down the middle. 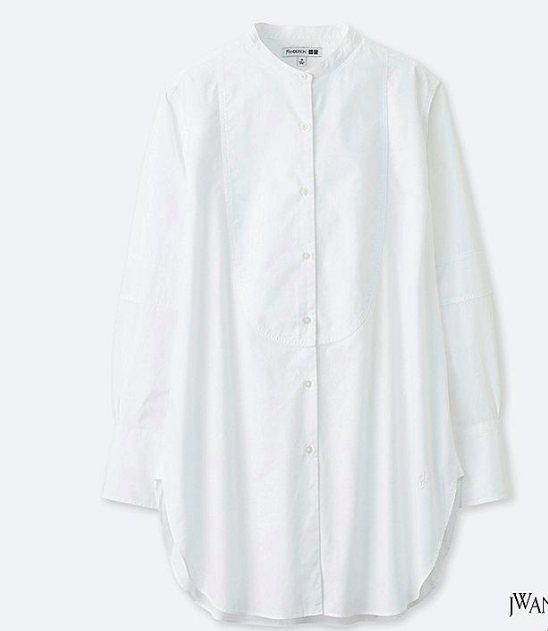 Everlane also has a nice pockety white canvas Chore jacket this season — a bit cheaper than the Uniqlo. 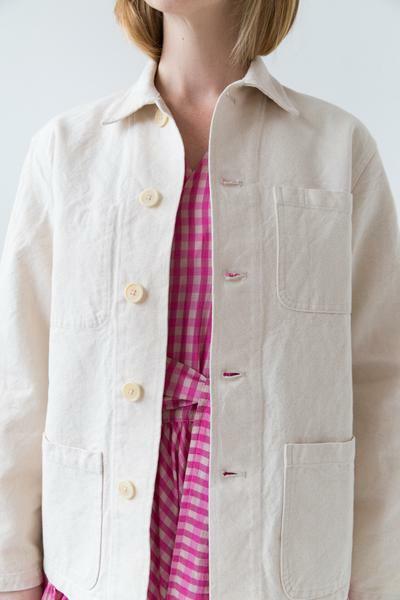 Everlane also has a nice pockety white canvas Chore jacket this season -- a bit cheaper than the Uniqlo. So much good stuff! I love the Krasner jacket and the dupe isn’t bad either. I’m happy to see that my taste is still up there at “Kim level” (I’m not worthy), cuz I bought a very similar tuxedo shirt from J. Crew this week. 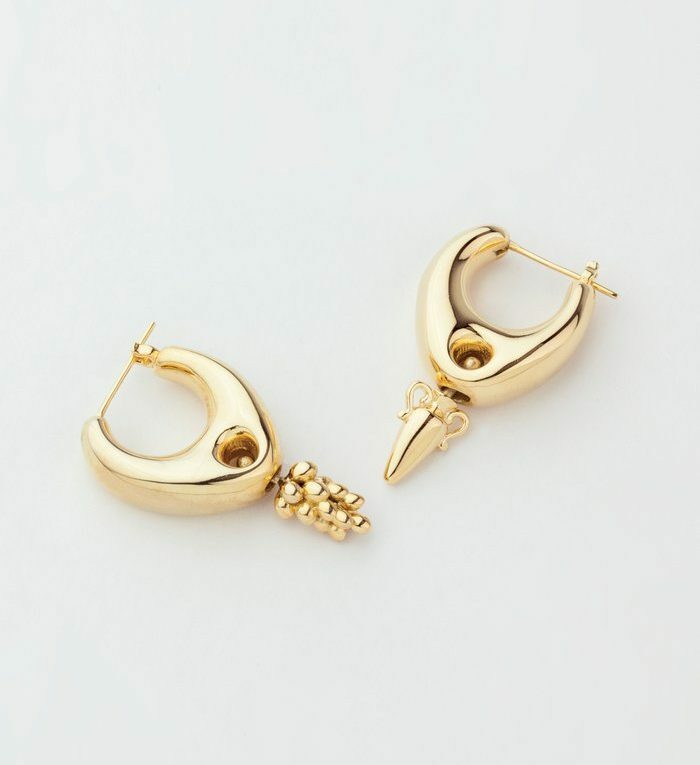 Also, those earrings are damned good! That bag is so Bonnie Cashin for coach! They did a revival capsule collection about ten years ago, and one of the bags was exactly like that. Too lazy to google!